Joining of conveyor belts by splicing or mechanical fasteners. .Rubber adhesive (Hot and cold). Belt Dressing stick, liquid and spray. A full range of splicing tools. Widest range in South Africa to suit all types, widths and thickness of belts. 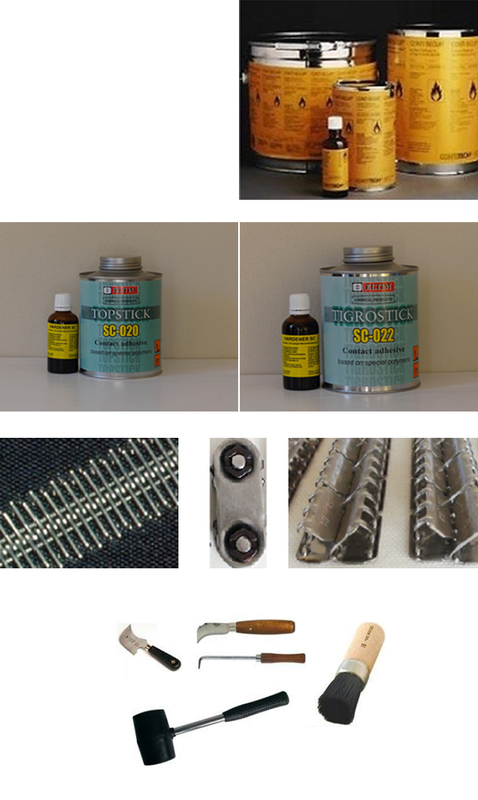 Hawk plate fasteners and tools for heavy rubber conveyor or belting. Minet hinge type fasteners for heavy and light duty conveyor belting. Roller Lacers and all standard Lacers and Tools and Accessories. Steel belt lacing and carded belt hooks.